An umbrella company is a professional services company which acts as the legal employer for individuals who are usually contracted to work through a recruitment agency for one of their clients. Confused? Perhaps the following infographic will help. Calculate your allowable expenses; using an umbrella company can be a great way to ensure you are being paid in a tax efficient way without the hassle of lots of administration and paperwork. The umbrella company will take care of all of that. Act as your official employer. It is the umbrella company that is responsible for your sick pay and other employer obligations such as pension auto-enrolment, holiday pay and any other employee entitlements. 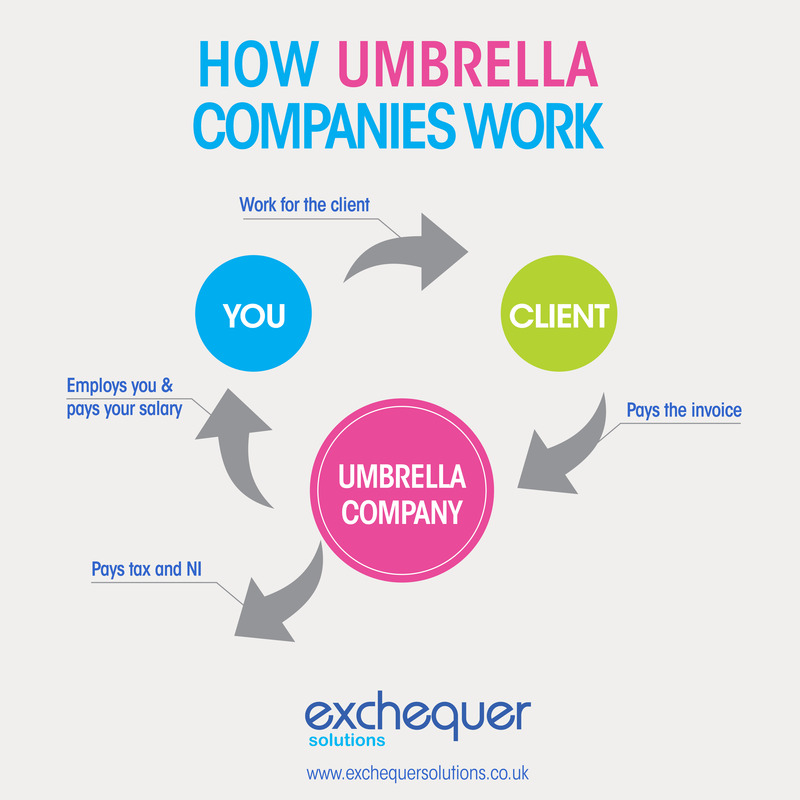 An umbrella service can be seen as a straight forward alternative to setting up a limited company. Working with an umbrella company combines the flexibility of self-employment with the benefits of employment. Most of our umbrella employee’s work through recruitment agencies but umbrella companies can also support freelancers or contractors and who aren’t working through a recruitment agency. The umbrella company will act as the intermediary between the contractor and the client, raising invoices and taking care of tax compliance on behalf of the contractor. If you think an umbrella service might work for you then do get in touch. We’d be happy to talk about your personal circumstances and our service. To find out more about our Umbrella services or to join call us on – 01244 500195 or register online.